Well, after years of being hounded to do this, I’ve finally decided to put my years of research into the whole “Paul Is Dead” urban legend online. So when the Strange & Spooky Museum cracks open its virtual doors on Sunday, February 9th, there will be an entire wing devoted to the materials I’ve collected about this fascinating subject. To the uninitiated, a bizarre rumor started making the rounds in 1969 that Paul McCartney had been killed in a car accident. The remaining Beatles, unwilling to call it quits, decided to replace Paul with a look/soundalike. 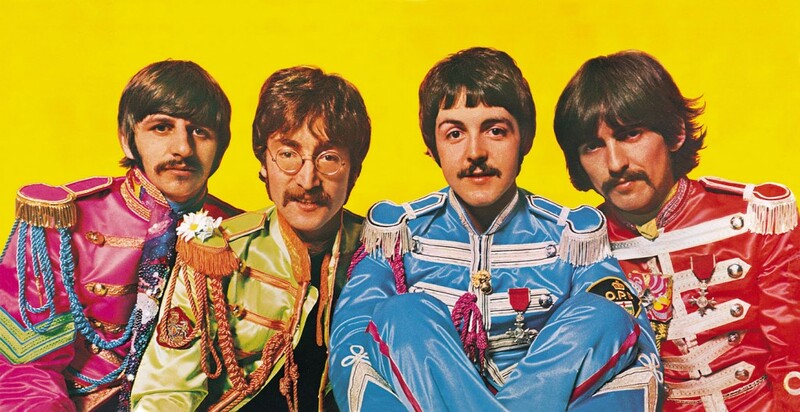 They didn’t want to leave fans totally in the dark, though, so they made the decision to break the news gently by hiding “clues” to what really happened to Paul in the lyrics of their songs and within the images found on Beatles albums. As for my collection, while it is enormous and spans several decades of research, online it will start small and grow over time. But some of the things I’ll be addressing first will include the Batman-Beatles connection and if that patch on the left arm of Paul’s Sgt. Pepper’s costume really confirms that he’s been “Officially Pronounced Dead”. Really like what you have put together here…by the by, I just believe in donna and me. Oh, you know I won’t forget! I’m even going to post a bunch of the backwards clip here so people can hear them for themselves. Oddly enough, even though the “I buried Paul” can be heard forwards, it’s still the hardest one to hear clearly since the music (and John’s voice) are fading out at the point where that infamous line is (allegedly) uttered. Thanks for the note! Many more “clues” are on their way, so keep an eye out for them!